It’s a beautiful world underwater, and we all love to see it. 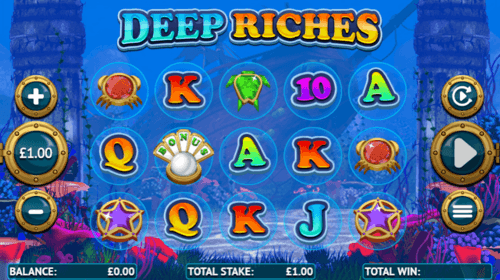 Underwater themed uk slots have become one of the most popular games among players of every age. This is a list of the best underwater slots exclusively for the reference of RoseSlots ladies who would love this theme. Our staff members played all games on the underwater theme, shortlisted the best, and then played extensively in order to rank them. We have considered factors such as the RTP, graphics, prize structure, ease of use, regular features, bonus features, and user comments among many others. We invite you to read the list and then decide which ones you would like to play, and then let us know what you think of these games. A clean layout and beautiful graphics would be the first things that draws your attention but when it comes to rewards you will find that you will not be disappointed in that department either. There are 25 paylines to reward you at the RTP of 95.48%, and the minimum and maximum bets are £0.25 and £125 respectively. 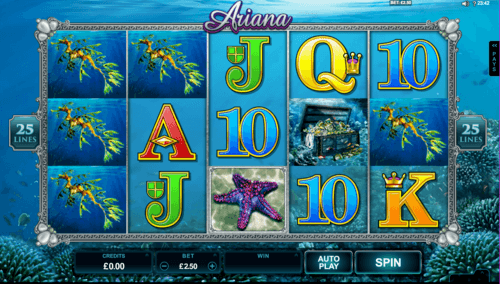 There are expanding symbols in Ariana online slot game as well as the Free bonus games. The Wild and Scatter symbols have their own prize structure in addition to other regular functions. Meet the cute little fish under water, swim with them, soak yourself in the beauty, and come up with some generous prizes in this colourful slot machine. The RTP of 95.53% would make sure that your efforts will be rewarded, and if you just want to play the game for fun then the minimum bet of £0.01 would be delightful news. But for the ambitious high roller there is a maximum bet of £150 to play at. 30 paylines, Wild, Multipliers, and Scatter are other tempting features this underwater slot has incorporated in Aquarium online slot. Dive to the sunken ship and find out what riches have been waiting for your there all these years. It could be up to 250,000 coins that you would find if you are brave enough to explore it. And that is at an RTP of 95.07% which is not a bad number for a treasure hunter. There are 20 paylines to create a winning combination on, and it also comes with a Wild and a Scatter with Bonus rounds. For fun or for riches, Deep Riches slot game has it all covered. Coming with an RTP of 95.79%, this underwater slot machine comes with a Jackpot of 675x in addition to the other impressive prizes. 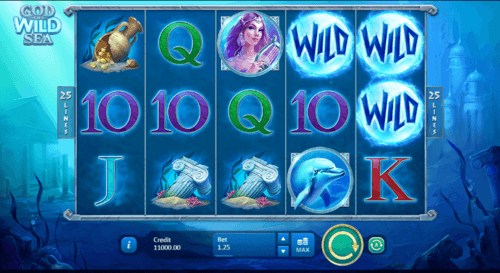 And Poseidon the God of Wild Sea slot would award you with Bonus games if it is your lucky day. Additionally, both the Bonus and Wild symbols carry their own prize structures to reward you with. A good variance, up to 20 Free Spins, and good graphics are some of the plus point that made this slot machine in to our list. 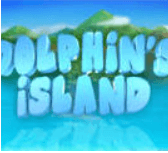 Immerse in the beauty of nature, swim around the lovely Dolphin's Island, and come back home Dolphin's Island slot with an RTP of 96.56% and 243 ways to win. Watch out for a Dolphin jumping in to a reel because that will turn the whole reel into Wilds. The Bonus symbol will activate the Bonus Wheel that adds to the fun as well as your wins, while the Dolphin symbol appearing on reel 3 brings 15 Free Games. Attractive graphics, Free Spins, a Bonus Wheel, and Wilds in a game with a high variance are some of the reason why you should play this underwater slots game. We have ranked this number 1 in our list of Best Underwater Themed Slots.